I’ve always thought of baseball cards as simply a piece of cardboard with a photo, stats, and a brief player bio until now. 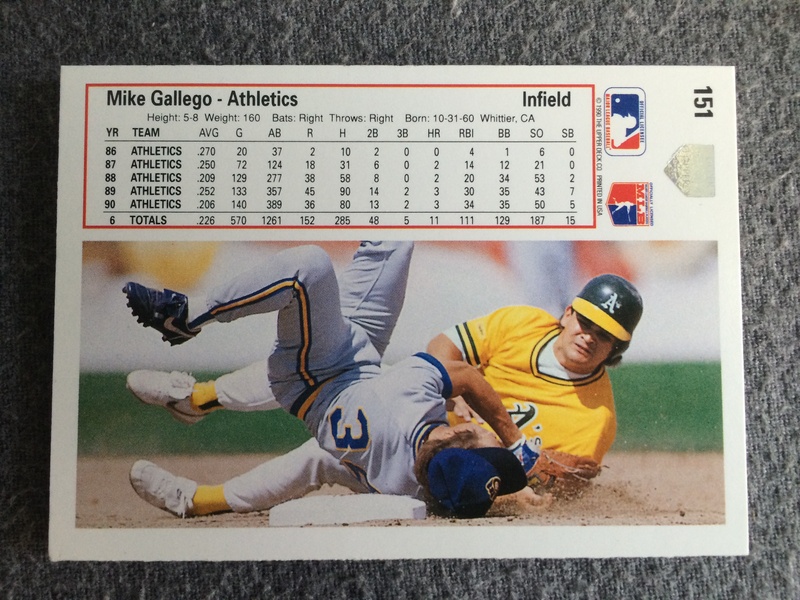 While I was flipping through my 1990’s A’s binder this 1991 Upper Deck Mike Gallego card caught my eye. Of course I noticed the clean border design, and the crisp action photo on the front. The photo features Gallego in the midst of getting his knees taken out trying to turn a double play. Fortunately, Gallego avoids the Angels runner and is captured mid-air after releasing the ball. When I turned the card over I found something interesting. There were stats, and another crisp photo that is easily one of the best baseball photos I’ve ever seen. 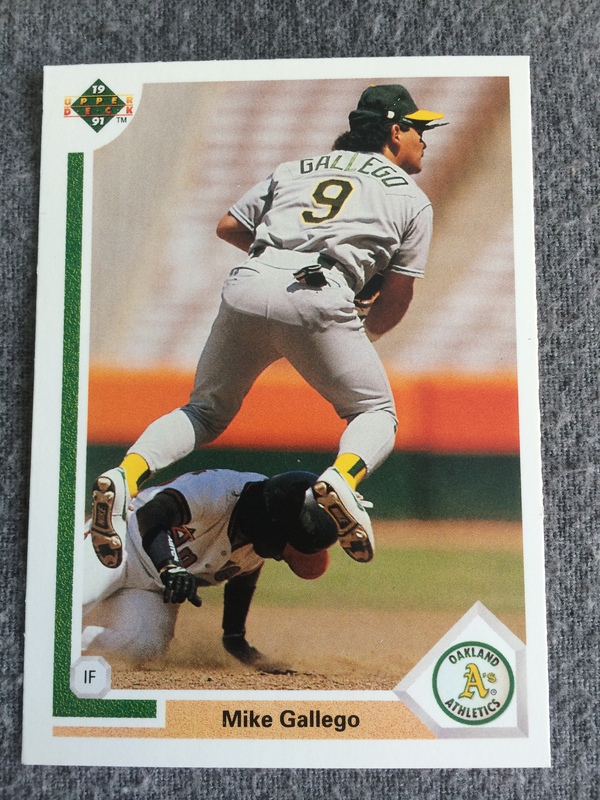 The photo featured Gallego as a runner (in a nice looking California Gold colored uniform) successfully taking out the Brewer’s infielder’s knees causing him to land on his head. What is the big deal you ask? The photo on the back is the exact opposite of the photo on the front! Without words this card tells a fantastic story through photos. Who needs a player bio with this kind of storytelling? Despite being produced in the junk wax era it is apparent that a lot of thought went into the production of this card. In today’s world of relics, autographs, numbered cards, and exclusivities (MLB – Topps, NHL – Upper Deck, Panini – NFL in 2016) cards feel cheap in comparison.